406MHz SARSAT BEACON TESTER (EPIRB Tester) enables professional checking of all types of maritime emergency radio beacons that operate in COSPAS-SARSAT system, such as Emergency Position Indicating Radio Beacon (EPIRBs). 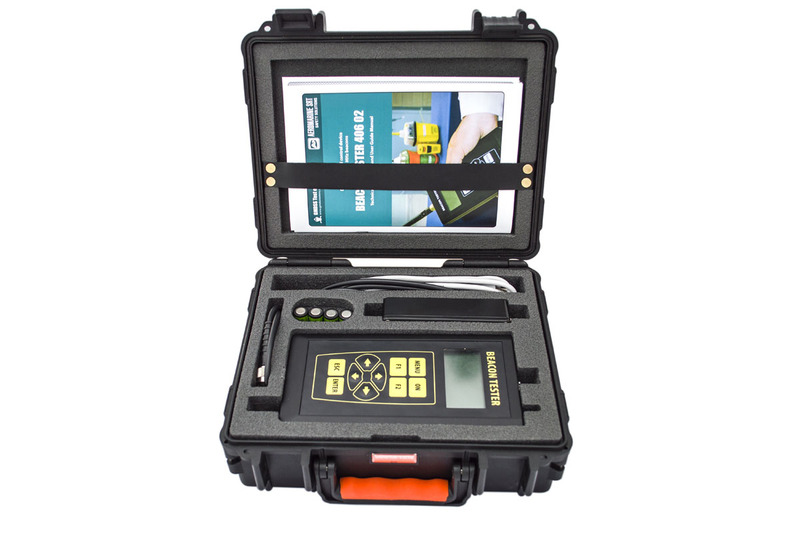 The 406MHz BEACON TESTER is specified service equipment and reliable test solution for ship surveyors, beacon suppliers, classification societies and administrative authorities. It assures operation checking of all types of distress beacons (EPIRB, PLB) of any manufacturer, and any other device (SSAS, SVDR, VDR) operating within COSPAS-SARSAT system. fast check after beacon’s encoding or installation. 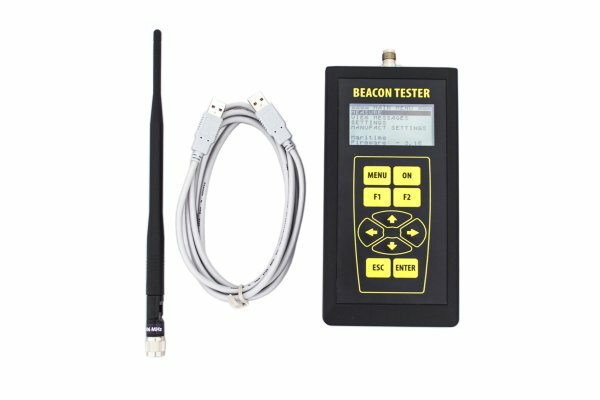 406MHz BEACON TESTER can receive the transmission from any 406MHz COSPAS-SARSAT beacon transmitting either in test mode or in real alert emergency mode. Also the tester provides the reception and check of 121.5MHz home transmitter signal. If the TEST MODE is used the tests can be performed in any room. Radiated tests in real alert emergency mode should be carried out in screened room (or enclosure) only. The signal can be received through the broadcast by means of antenna or the tester can be connected directly by means of cable through a suitable attenuator (option). SSAS Tester – as the tester provides the possibility to check the Ship Security Alert Systems. All these facilities are represented as single product - 406MHz BEACON Tester (EPIRB Tester). It is very simple to check the distress beacon operation by means of 406MHz SARSAT BEACON Tester. Turn on the tester and then turn the beacon to TEST mode. 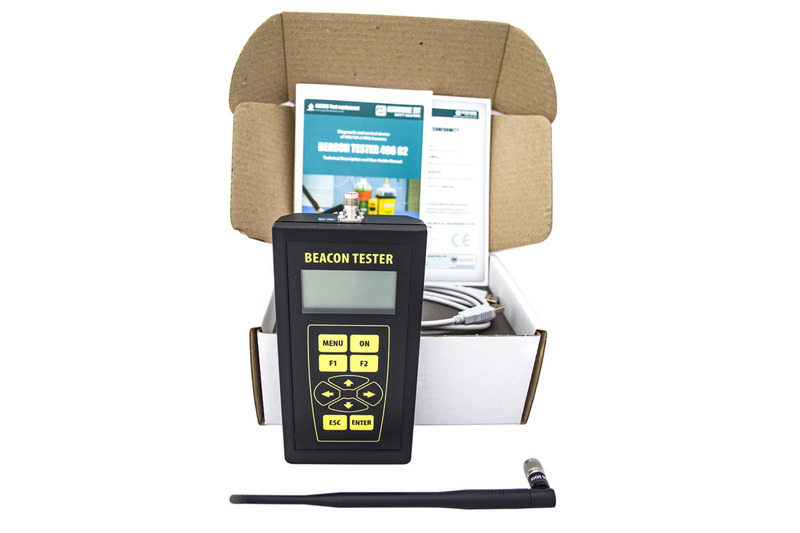 Make sure that there is at least 3 meters (15 meters max) distance between the tester and the beacon, and make simple actions to carry out the test procedures. The tester will receive the signal, measure the frequency meanings, power level in all channels, signal duration, calculate and compare the BCH code and finally decode all emergency information automatically. The tester provides demodulation and decoding of the emergency information and displays on your choice the НЕХ-code (15 Hex ID or the message 1-112 bit) as well as all decoded information in text view with all measured parameters. Besides, the BCH code is calculated and compared with received one, and the result is displayed. All data will be saved in memory for further processing, 10 memory blocks are available. All emergency data can be viewed on the tester’s LCD or can be transmitted to PC for procession. Since it is crucial for the beacon ID to be registered with the national authorities, the 406MHz SARSAT BEACON Tester provides an easy means to verify the ID after installation or reprogramming. 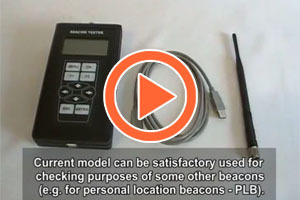 The tester measures beacon parameters by means of standard external antenna (from 3 to 15 meters), as well as via high-frequency cable and attenuator connection. Note: attenuator is required for power level measurements, otherwise the power level will be only estimated. The tester power supply is performed by 4 AA batteries 1.5V, as well as by external DC source with voltage 4.5…7V and load current no less than 300mA. 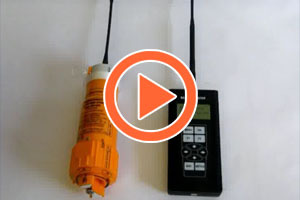 This tester can be either used for testing of personal locator beacons (PLB) or any other device (SSAS, SVDR, VDR) operating within COSPAS-SARSAT system. 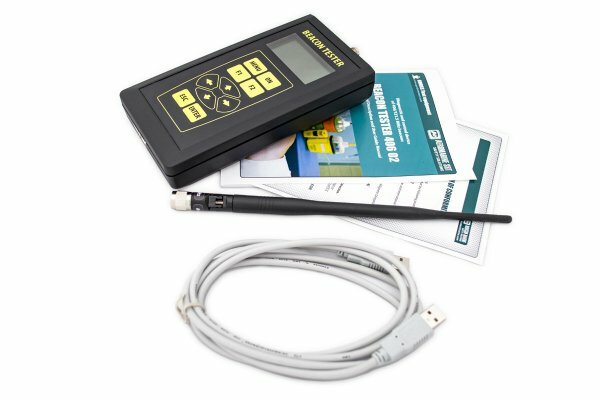 Thus the 406MHz tester can be easily connected to any PC or laptop. The connection is carried out by means of standard USB A-USB A cable and special software available on this website. The minimal requirements are Microsoft OS, such as Windows XP, Windows Vista or Windows 7 and at least 1 USB port. No special hardware configuration is required. So, it is very simple to connect the tester to PC. Connect one side of the cable to tester and other to PC. Then install the drivers following the standard Windows wizard. After the driver is installed run the software. No installation is required. Just run the executive file and press DOWNLOAD MESSAGE button. All saved data will be transferred to PC. Download the examples of test reports below. estimation of the equivalent radiated power of 406MHz signal through broadcast. 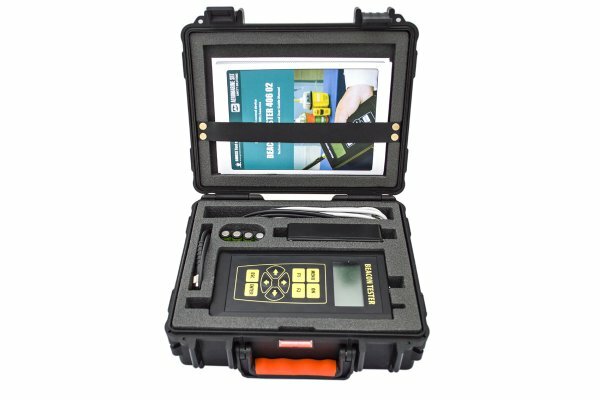 The tester is designed to operate at the temperature range from 0°С to + 45°С and relative air humidity should be no more than 95%, which is determined by used LCD. The tester power supply is performed by 4 AA batteries 1.5V, as well as by external DC source with voltage 4.5…7V and load current no less than 300мА. 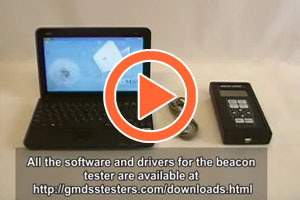 The tester is power supplied by USB cable when connected to computer or net USB adapter. Specifications / Brochure (version: 1.0; 24.01.2011; 1.05 Mb) Complete specification and advertising brochure of 406MHz SARSAT BEACON Tester. Available in PDF format. Operation video manuals (version: 1.0; video; flv) User guide video manuals for 406MHz SARSAT Tester are available online. Technical Description and User Manual (version: 3.07; 01.03.2015; 0.41 Mb) Complete technical description and operation user manual for 406MHz SARSAT BEACON Tester is available in PDF format. Note: Limited access. Login for downloading the item. Test report example (version: 3.0 BE; 24.01.2011; 98 kb) Examples of test reports created by 406MHz BEACON Software. The test report is important logical completition of test process. Software v3.6 RC2 (version: 3.6 BE RC2; 15.08.2012; 478 kb) Here you can download latest version of software for 406MHz SARSAT BEACON Tester. No installation is required. OS Windows. Note: Limited access. Login for downloading the item. 406MHz SARSAT BEACON TESTER is designed to check the maritime emergency radio beacons operating via COSPAS-SARSAT system such as Emergency Position Indicating Radio Beacon (EPIRBs). 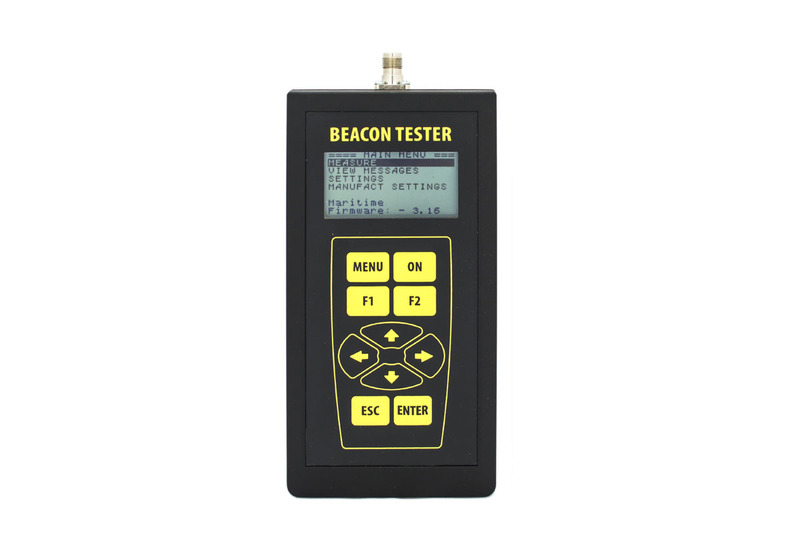 406MHz BEACON TESTER can receive the transmission from any 406 MHz COSPAS-SARSAT beacons of any manufacturer transmitting either in test mode or in real alert emergency mode. Also the tester provides the reception and check of 121,5MHz home transmitter signal.